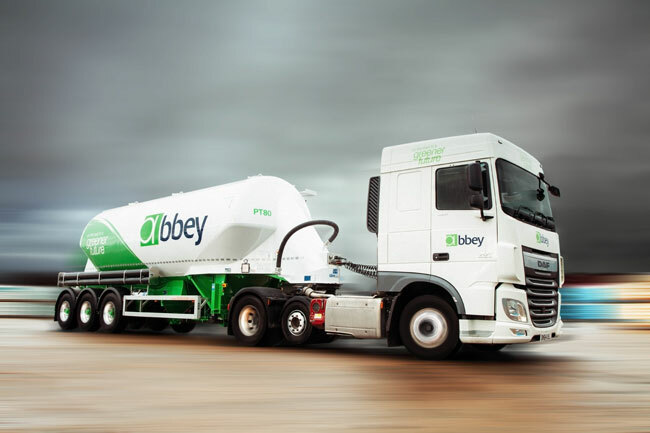 Abbey Logistics Group, the UK bulk powder transport provider, has been awarded a regional distribution contract by Tarmac for the distribution of bulk cement in Scotland, following a competitive tender process. Tarmac, the UK sustainable building materials and construction solutions business, is set to restructure the distribution model for its Cement and Lime division to deliver an enhanced service for its customers. Following a comprehensive strategic review of its distribution arrangements, the company decided to move to a more flexible regional model for both bulk and packed cement distribution, which have previously operated on a national basis. Abbey Logistics has significantly grown its capabilities in bulk powder logistics over recent years, winning significant contracts in the polymers, minerals and bulk food powder sectors. Growth has been supported by Abbey's commitment to invest heavily in equipment and I.T. infrastructure, creating a large powder network fleet covering the UK and Europe. Abbey's IT solution Abbey provides its customers with full visibility of deliveries at all times, bespoke contract performance metrics and management information specific to customers' requirements. This is supported by account management support dedicated to working in partnership with its customers to identify improvements, savings and efficiency gains throughout the length of the contract. Mike Ellis, Abbey Logistics Business Development Director said: "We are delighted that Tarmac selected Abbey to work with them to provide such a business-critical service. Tarmac relies on its supply chain and logistics operations to ensure they maintain their position as the UK's market leader and we look forward to providing them with the enhanced visibility, resilience, and flexibility our service provides." Mike Eberlin, Managing Director al Tarmac Cement and Lime, said: "With a demanding pipeline of construction and infrastructure projects coming online across the country, now is the perfect lime for us to proactively change. Our strengthened network capability means we're able to offer a better, more flexible service to meet customer requirements going forward."